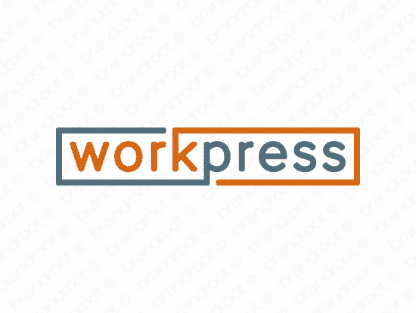 Brand workpress is for sale on Brandroot.com! A clever combo of "work" and "press" that suggests an industrious and productive brand. Workpress is a capable brand with diverse appeal, ideal for employment firms or logistics and operations focused services. You will have full ownership and rights to Workpress.com. One of our professional Brandroot representatives will contact you and walk you through the entire transfer process.